If you called them Celtic hieroglyphics, you’d not be far wrong. 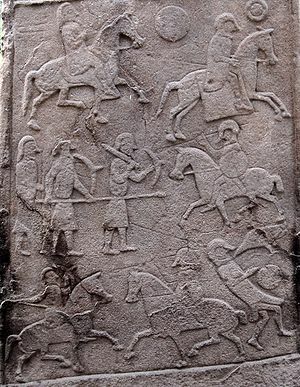 The Picts had no written language consisting of letters of the alphabet. All we have are artifacts bearing their symbols. And we believe the symbols tell stories, but sometimes we’re not so sure what those stories are. This page shows some of those symbols and the stones they decorated with them. 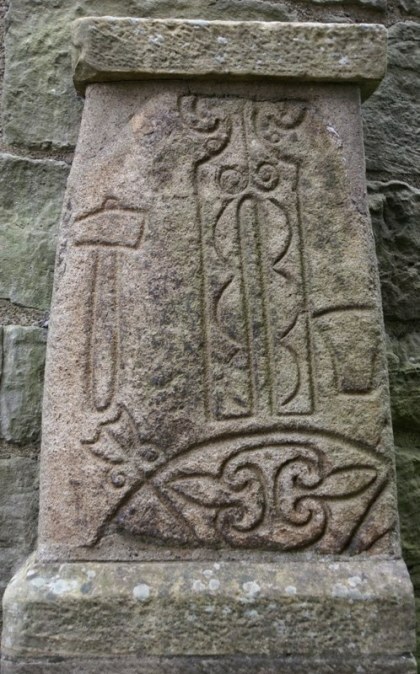 The Pictish symbols border each one of the pages of this blog. 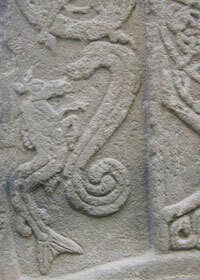 There are images of different animals such as the eagle, bear, snake, wolf, goose, salmon, deer and the unusual “Pictish Beast.” We also see symbols representing tools and some rather unusual geometric shapes. The meanings of many of these are unclear at the present time. 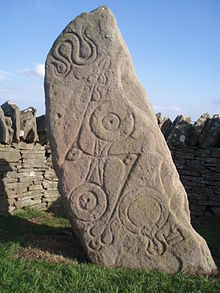 Lastly the Picts were famous for their standing stones. The Callenish site is shown at the top of the blog and many other stones are scattered around Scotland, quite a few having symbols on them. A few are shown below.